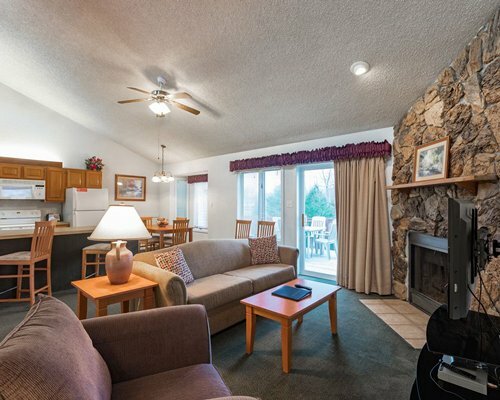 At any time of year you can slip into the serene mountain setting of Quail Hollow Village at Beech Mountain Lakes. 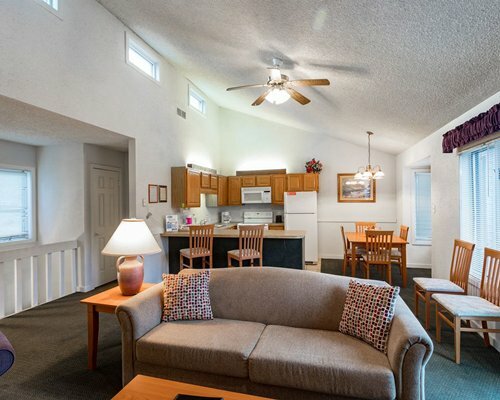 The resort offers so much to do on-site, with nearby areas offering even more. 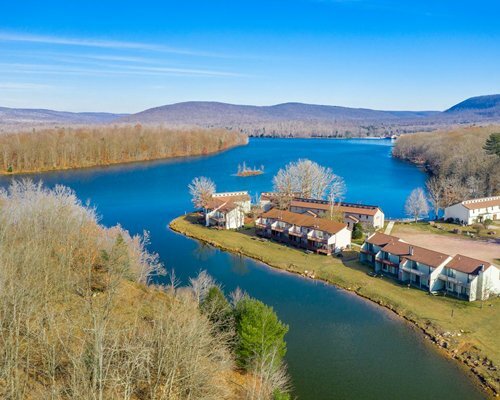 For the outdoors experience, you can sled or ski in the winter; in the summer enjoy the on-site lake for swimming and fishing, as well as tennis or golf nearby. 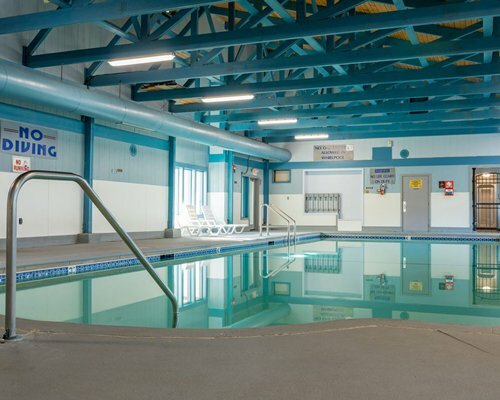 The resort offers a workout gym, racquetball, shuffleboard, Bocce Ball and an indoor pool. Nearby you can try your luck at the new slots casino, or take advantage of horseback riding, a ski school, lots of shopping area and live entertainment. Quail Hollow Village at Beech Mountain Lakes believes in luxury amidst the wilderness. The two-bedroom condos are designed to offer plenty of living space with different rooms where you can relax in different ways. 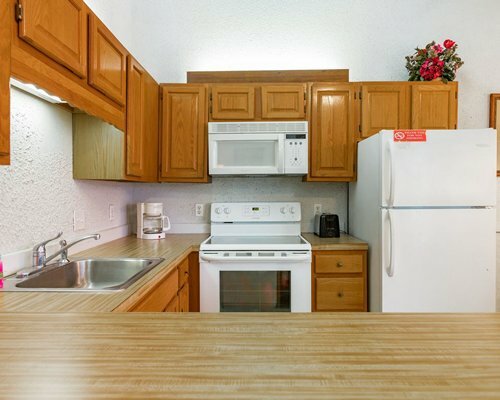 The bedrooms are roomy with comfortable beds, and there are fully equipped kitchens for your convenience. Housekeeping amenities make it easy for you to relax, and the décor is pleasant and warm. 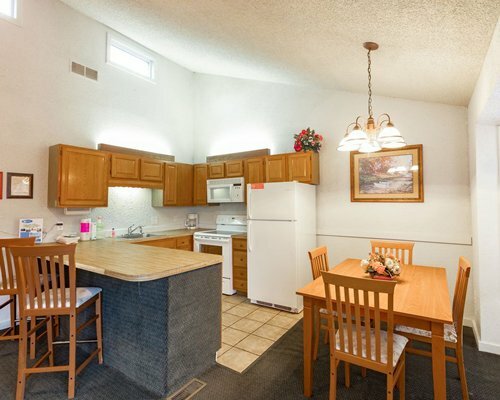 Speaking of warm, each condo has a fireplace for atmosphere, and all are nicely carpeted and air conditioned for your additional comfort. 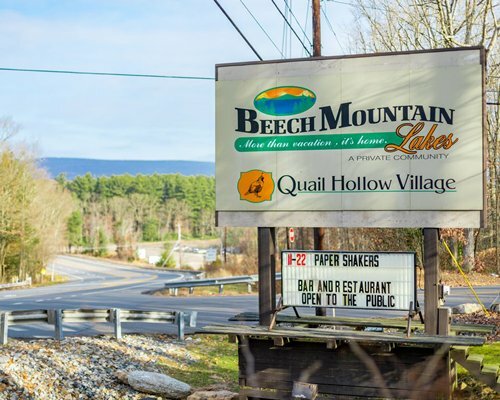 Quail Hollow Village at Beech Mountain Lakes is in the heart of Pennsylvania, with easy access to the many attractions of this great state. There are plenty of outdoor activities year round, such as sledding and snow tubing, or swimming and hiking depending upon when you visit. Sportsmen will find areas for golf, tennis, fishing, and so much more in Pennsylvania's mountains, lakes and parks. 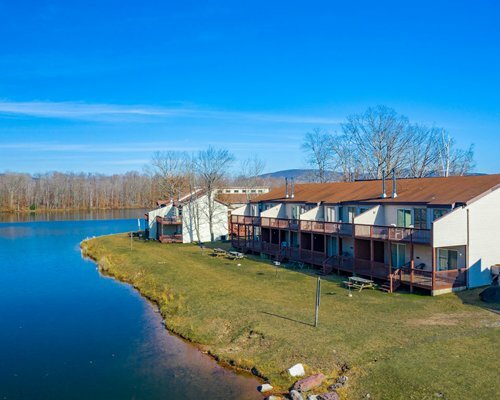 From the Pocono Mountains to Amish Country, from the casinos to family-friendly amusement areas like Hershey and Dorney Park, there is something for everyone. The nearest commercial airport is the Wilkes Barre/Scranton AVOCA Airport, about 30 miles away. From the airport, take I-81 South to I-80. Follow I-80 East to exit 262 (Formerly Exit 39.) Exit 262 onto Route 309. Follow Route 309 South for 1.5 miles to the resort. Check in at security when the office is closed.